The unhappy life of a jet-setting socialite and intellectual, sympathetically retold. 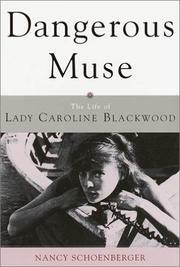 Born in 1931 into the wealthy, influential Guinness family in Northern Ireland, Caroline Blackwood was renowned for both her beauty and her intelligence. A familiar figure among the smart sets of London, Paris, and New York, she served as confidante and muse to the likes of Cyril Connolly, Robert Silvers, Roger Bacon, Ned Rorem, and Jonathan Raban—and married (in succession) painter Lucian Freud, composer Israel Citkowitz, and poet Robert Lowell. Although Blackwood’s life was ready grist for gossip columnists, Schoenberger (Long Like a River, 1998, etc.) treats her subject seriously, noting that for all its social and arty swirl, Blackwood’s life came to center on her work, a body of novels and journalism that Schoenberger compares favorably to the work of such contemporaries as John McPhee and Tom Wolfe. And while Blackwood enjoyed the privileges of an aristocratic birth, the fates frowned on her nevertheless, and from very early her life was set on a sorrowful course. Her father was killed in Burma during WWII, her mother abandoned her to nannies and boarding schools, her husbands subjected her to various cruelties, infidelities, and forms of madness, one of her children died young, and reviewers never quite recognized her for the clearly talented (if minor) writer that she was. This bad luck, Schoenberger hazards, contributed to Blackwood’s uncertainty over whether the world “was a godless place or one ruled by a malicious intelligence.” The author does not shy away, however, from an important aspect of the story—namely, that many of Blackwood’s tragedies came from her own seemingly ungovernable self-destructive tendencies (manifested most clearly in lifelong alcoholism and bouts of depression). A capable account, both critical and admiring, that may win Blackwood new readers.